A woman planned a very special wedding — but it was far from traditional. 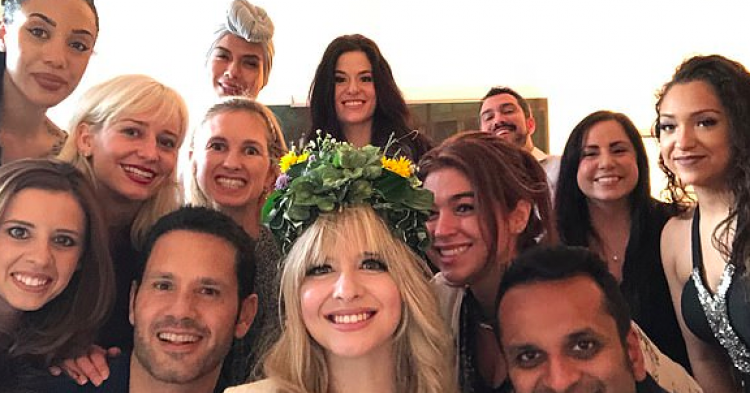 Despite the departure from the usual wedding ceremony, her friends and family came to support her after she sent out the unusual invitation. 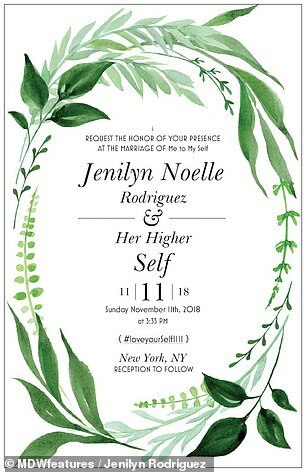 New York actress and reiki healer Jenilyn Rodriguez decided to marry herself, after her experiences with a series of abusive relationships. Though Jenilyn was raised Catholic, she has distanced herself from any form of religion and instead wanted to put her faith in love… as well as herself. While shopping for jewelry earlier this year, she found a ring that she fell in love with and decided to become engaged to herself. 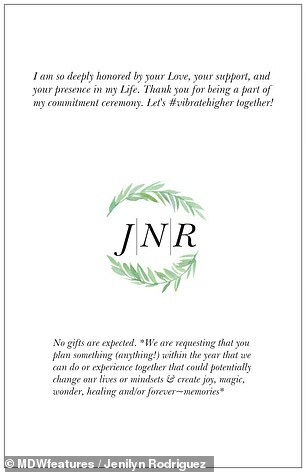 Invitations were sent for the sologamy ceremony in New York, held at 3:33 because the number 333 means pure love in angel numerology, on November 11 (the number 1111 means that angels are in the room with you). 20 guests, including her sister Jessica, were on hand for the unique ceremony. The decision to marry herself signifies that she has everything she needs within herself, including being a friend and comfort. Jenilyn even has a honeymoon planned — she’ll be visiting Ireland’s ancient celtic sites.